Everyone wants their wedding day to be just about perfect, and of course, the wedding venue plays a major role in the turnout of events. 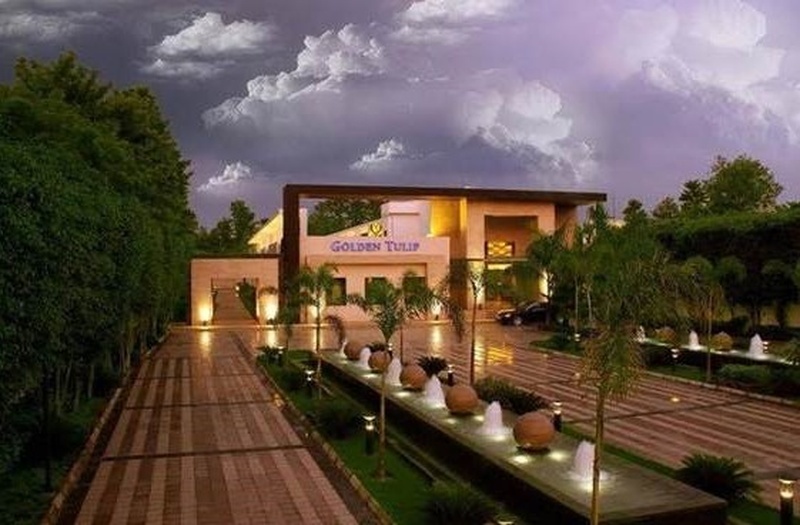 We all know that Delhi has some of the best weddings in the country, and guess what; Golden Tulip, Chattarpur happens to be one of their prime venues! If you’ve spent hours and hours poring over the internet trying to find your dream venue, we’ve got good news - your search ends here! The Golden Tulip hotels chain has been around since early 1960, when the first Golden Tulip hotel was opened in Netherlands. Ever since, they’ve been expanding internationally, always keeping in mind the dynamic needs and requirements of customers. As part of the Louvre Hotels Group, the worldwide hotel chain operates three well-known hotel brands: Tulip Inn, Golden Tulip and Royal Tulip with a total of over 240 hotels in 45 countries. Each hotel is a wonderful combination of international standards and local flavour. The result is a stay as inspiring as it is pleasurable. Now narrowing it down to the country and city, Golden Tulip, Chattarpur is a venue that offers luxurious comfort and an ideal ambience. The hotel stretches across 3 acres of sprawling lawns, with rooms overlooking the pool and gardens. It is equipped with state of the art banquet halls and spacious open-air as well as enclosed lawns that are ideal for weddings and social functions. The hotel offers banquet facilities that include great natural lighting and a scenic ambience amidst splendid outdoor lawns that would make your event memorable. They have personalised, elaborate arrangements for complete wedding planning services that can be customised according to guests’ requirements. Their food quality is impeccable and hospitality matches up. Golden Tulip, one of the most sought-after banquet halls in Chattarpur also offers accommodation for the special couple as well as their guests. 34 exquisitely designed rooms and suites overlook the pool or garden area and are tastefully done in contemporary design and all of one’s needs. The Imperial Ballroom, located at the lower lobby level, boasts of 3700 sq ft area which can accommodate 300 guests. It can be converted in to three separate halls for small conferences and private social gatherings. The luxurious banquet hall is attached to the pool, along with a small porch with a waterfall that falls into the pool. Imperial Garden is a small lawn that has an attached pandal. The pandal is equipped with a stage. Beautiful hanging lights decorate the venue and create a lovely ambience. This banquet hall in Chattarpur is again a combination of open and closed. It can easily accommodate around 1000 pax. It has a big pandal with beautifully designed lights. The main course can be laid inside and the stage, the live counters and the vedi is perfect for the open. It is the best suitable venue for up to 175 pax. Equipped with sofa seating and bar essentials, it is ideal for a sangeet night. Moreover, it has glass walls so guests have a beautiful view of the fountain and pool below. In addition to that, Golden Tulip is also equipped with a lovely terrace that can be used for functions like mehndi.